I spun my first silk hankie tonight, and right away I learned a valuable lesson. 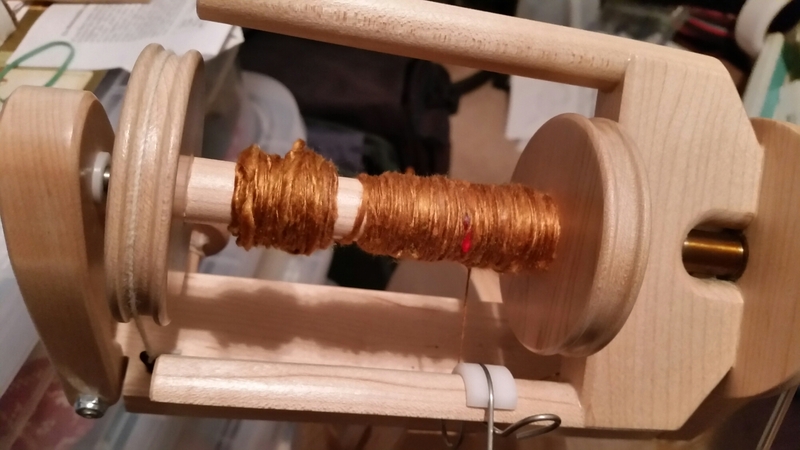 It’s to my benefit to draft out those fibers ahead of time a whole lot more than I did this time, because it’s WORK to draft this stuff – the fibers are very long and if the twist starts getting into it, it’s very difficult to try to even out. But it’s very pretty, and I’m sure I’ll get the hang of it. So now that I’ve done one, I’ll do the one for tomorrow tonight.